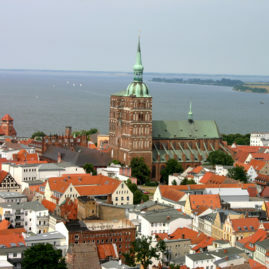 For two and a half days, members of the “European Route of Brick Gothic” Association celebrated its 10th anniversary in Greifswald – the place where the Association was founded 10 years ago. 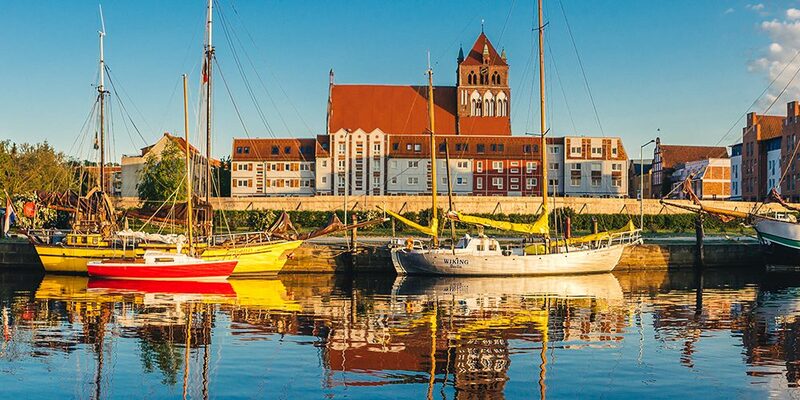 Over the course of two days – from 24 to 26 September 2017 – guests attending the celebrations in Greifswald were given a night watchman tour and detailed guided tours of St. Nikolai Cathedral and the Marienkirche. On 25 September 2017, a ship took attendees to the monastery ruin of Eldena in the nearby fishing village of Wieck. In the evening, guests from the worlds of politics and tourism joined the festivities in the beautiful setting of the Pomeranian State Museum. 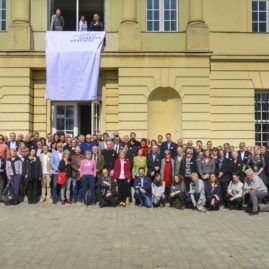 On foundation day, 26 September 2017, the Association held its Annual General Meeting, summarised the successes of the past 10 years and looked ahead to the coming year. For ten years, the Association has been working hand-in-hand with monument conservators and tourism experts to successfully preserve Brick Gothic’s cultural heritage. 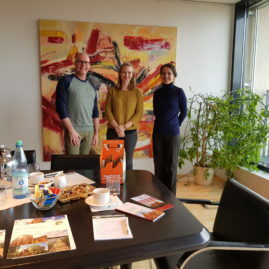 The German Foundation for Monument Conservation (Deutschen Stiftung Denkmalschutz) first drew attention to this special architectural style in the 1990s through its local initiative “On The Trail of Brick Gothic” (Wege zur Backsteingotik), which focused on northern Germany. This initiative was followed by the EU project “European Route of Brick Gothic (EuRoB)” from 2002 to 2007. This project brought together cities from around the entire Baltic Sea, the Baltic States and Sweden. Following the EU project, the association was founded on 26 September 2007.